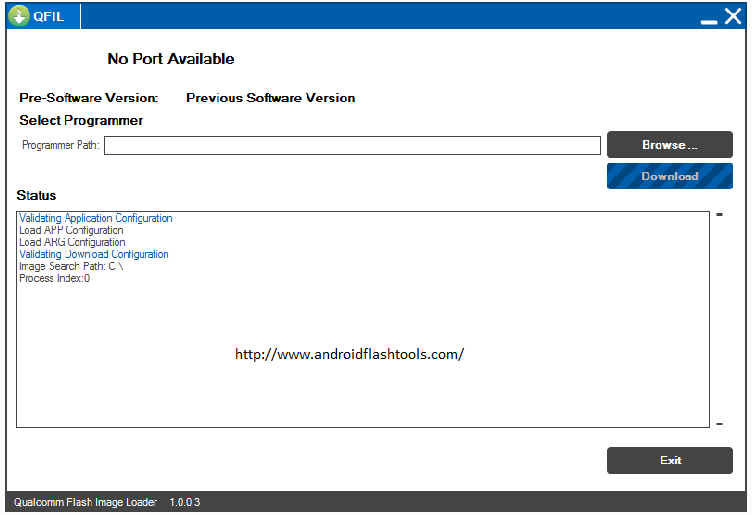 Download Qualcomm Flash Image Loader (QFIL) all versions to install stock ROM or firmware on Qualcomm device. On this post you will find various versions of QFIL for you to use on your Windows operating system based computer. QFIL is a free tool that is designed to help Qualcomm smartphone or tablet users to flash the stock ROM to fix some possible issues such as bootloop, soft brick or even bring back the lost warranty. Using this tool is recommended as the tool is proven safe and released by the Qualcomm Mobility LLC itself. As for those who have Qualcomm device then they are invited to download QFIL to their Windows based computer. Using QFIL then you don't need to install the application to your computer. Just download then unzip the file to further launch its exe file. Then you are all set. Anyone can use it easily without trouble to load the firmware (.mbn) on their Qualcomm device. Those who use the QFIL to install stock ROM on their Qualcomm device will find the complete log on the log box provided by the tool. This will help you find out the possible errors if you encounter ones. [*] Supports IQFIL supports all kind of Windows operating system versions including Windows XP, Windows Vista, Windows 7, Windows 8, Windows 8.1 and also Windows 10 (x86 or x64 bit). [*] Take backup first. You are recommended to take backup over your precious data before starting to use QFIL tool guys. [*] Credits. Qualcomm Flash Image Loader (QFIL) is created, maintained, developed, optimized and distributed by Qualcomm Mobility LLC. Therefore all the credits should be given to the name guys all.